If sources of XDA are correct, a few specs and details for the 2nd-generation Pixel (Walleye) and Pixel XL (Taimen) might’ve just leaked. To catch you up on Pixel reports, since there’s no shortage, it was reported on June 12 that Taimen, a possible third device, would replace Muskie, which we thought would be the Pixel XL for 2017. So we’ve gone from three potential devices (Walleye, Muskie, Taimen), to just two (Walleye and Taimen). Now that we have the timeline set, let’s get into the new information. According to XDA, the Walleye will feature a 4.97″ display with FHD (1080p) resolution. The design is said to be nearly identical to last year’s Pixel, complete with large bezels around the display. However, the major difference is Google’s reported ditching of the 3.5mm headphone jack, instead offering stereo speakers on the phone. Other specs may include a Snapdragon 835 processor, 4GB RAM, and 64GB storage. Personally, it sounds like a pretty boring device, especially if Google is keeping an identical design and ditching the headphone jack. Not very cool, Google. As for Taimen, the source of XDA’s report claims it will come with a 5.99″ display with a 1440p OLED panel from LG. This news aligns quite well with a previous report that Google has invested a significant sum into LG’s mobile display development business. Beyond the display, the report goes on to say that the Taimen will also come with Snapdragon 835 processor with 4GB RAM. As for differences, the Taimen is said to come with minimal front bezel, and since the source doesn’t specify, it may even have a 3.5mm headphone jack. Lastly, the Taimen is said to sport a single camera on its backside with dual LED flash. If I’m being honest, neither the 2nd-Gen Pixel or Pixel XL sound all too exciting. There are still a ton of details we need, but the overall picture doesn’t seem too appealing. 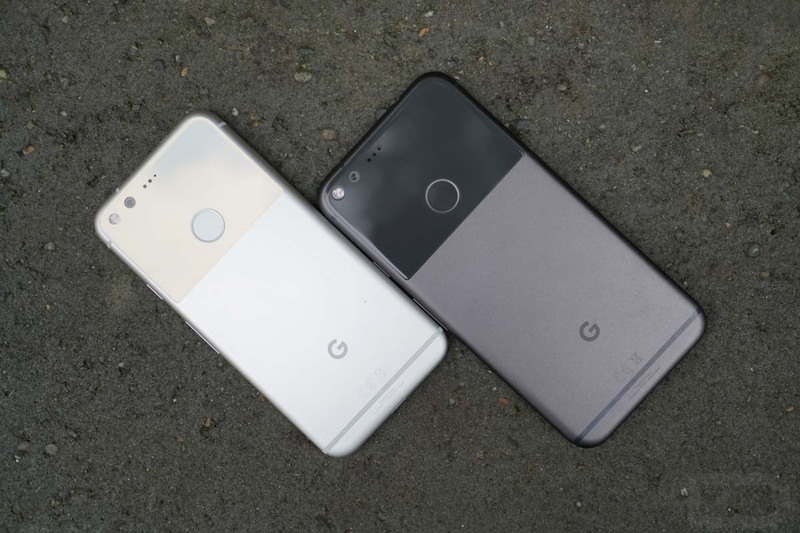 We have the Pixel, which could just be a copy of last year’s model, but with no headphone jack, and then a very large Pixel XL that might have an improved display and updated processor. I suppose I was hoping for a bit of changeup in the design, but again, there’s still a lot we don’t know. What’s your take on the sound of these phones? Is no headphone jack on the Pixel a deal breaker? Is a big ol’ LG OLED display enough to get you excited for the Pixel XL?